KANSAS CITY, Kan. — Domestic violence affects more than 12 million people every year. According to the Domestic Violence Abuse Hotline , child abuse goes hand in hand. 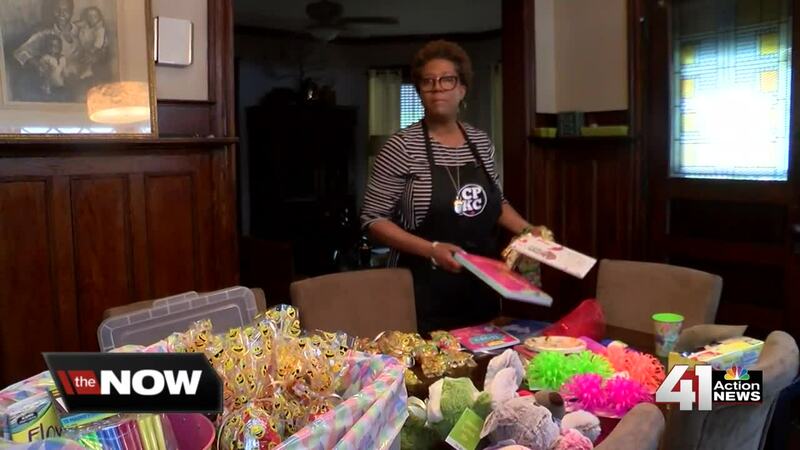 A local organization is giving children a reason to celebrate during difficult times. For over 30 years, Angela Hobson-Hamilton has been working as a Registered Nurse in the Kansas City metro area. Her intentions have always been to help people. "I think what really inspired me was actually being able to see the lack of resources," said Hobson-Hamilton. Resources that are almost non-existent in her own neighborhood in Wyandotte County. "To this day we still remain the only domestic violence shelter in Wyandotte County," said Arica Roland, Program Director at Friends of Yates. Each year, the Friends of Yates Domestic Violence Shelter serves about 300 people. Over half are children. Friends of Yates provides services and shelter to women and their families, but much of their focus goes to women and getting them back on their feet. "Sometimes the kids and their needs are overlooked," said Roland. After Hobson-Hamilton heard the need, she decided to help. "As they help the mothers, we can help the children," said Hobson-Hamilton. Since Jan. 1, 2017, Hobson-Hamilton has been creating "Birthday Boxes." She fills them with everything necessary to throw a birthday party. On the first Monday of every month, Hobson-Hamilton drops the box off at the shelter. "There's always a reason for a party, there's always a reason to celebrate," said Hobson-Hamilton. While Hobson-Hamilton does not get to deliver the treats right to the children at the shelter, she knows they're smiling. "Our hope is that they know people care, you know, that they're special and they are valued and they are not their circumstances," said Hobson-Hamilton. The Birthday Box effort has now turned into a 501(c)(3) non-profit called Compassionate Partners K.C.